Shane Adair further explores the principles of the Kelly Criterion and how the implementation can vary amongst professional punters. Last week I wrote about the Kelly Criterion and how it works. A structured disciplined approach to bank management and staking can be very beneficial to making your punting more successful. However, not everyone applies the theory in the same manner. To build on this, I spoke to our Champion Bets analysts in Melbourne and Sydney about their approach to staking. While both rely on the basic principles of the Kelly Criterion for their punting, their application differs greatly. My approach is I bet to return a certain amount based on my price. For example, I would have $250 on a $4 shot if I was betting to return $1000 per bet, $25 to return $100 or $2500 to return $10000. When my bank increases to a new level and maintains that level for a period of time I then look at increasing the amount I’m trying to return per bet. I believe this keeps my punting bank balance under control. I am always using my price to determine the bet size never the market. This means if my markets are more accurate than the betting markets in theory I should be winning. My approach is not as rigid as the Kelly Criterion in structure. For starters, I’m looking at no more than 2-2.5% of my overall bank on a race. My loose staking plan is based around the size of the overlay and the confidence I have in my markets for the race. My bet sizes are rated 1-10. A one rating would be a horse that I have rated $10 and its paying $10, so minimal to no overlay. This is basically a saver on the race. A 10 rating on a race would be a horse that I rate $2.50 and its paying $10. The overlay is huge and I’m backing in my judgement. This is a rare event, however, only finding a 10 rating once every 3-4 months. As you can see from the two examples above, professional punters often differ in their approach to the Kelly Criterion. However, the basic principles are still the same and are, on a basic level, derived from Kelly. When you have an overlay, we are betting to maximise that return and backing our judgement to beat the market, whilst also taking pride in strong, disciplined bank management. After my article last week, I received questions on how the Kelly Criterion can actually work on a real horse race. So I thought I would put forward this example to help people understand the power of Kelly and if it suits your style of betting. Now that we have our prices and what the market currently offers, I want to expose only 1% of my $10000 bank per race, which is equal to $100. Based on this example, how much we will I be staking on the above runners? As you can see from the markets, Winx is a nice overlay, paying $3 with the bookie and our ratings have it as a $2 chance. As per the formula we discussed last week, Winx is a $3 chance, our probability of winning is $2, 50% in percentage terms. That calculates to 25% of your bank on this bet. 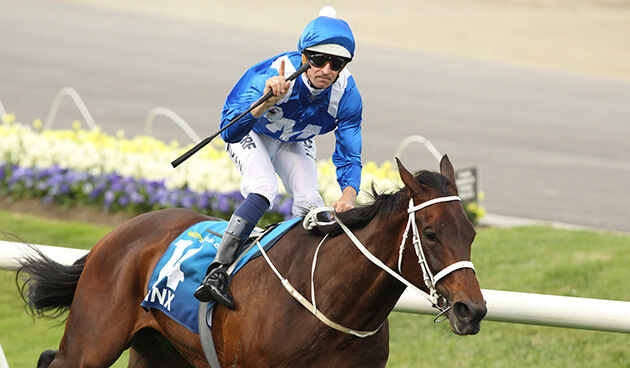 As we stated earlier, we only want to expose $100 per race, so our bet for this race is $25 @ $3.0 for Winx. As you can see, it is very important to stake correctly and stake on the basis of your prices. At the end of the day we are putting our judgement ahead of the markets and when we are correct we want to maximise our returns.